The Houston, Texas law firm of Shane R. Kadlec launches an improved website to make it easier than ever to connect with an experienced personal injury lawyer or get answers to basic legal questions. Our goal is to educate our clients, help them understand their options and empower them to make good decisions. The Houston, Texas law firm of Shane R. Kadlec announces the launch of an improved website, providing a valuable online legal resource to current and potential clients. The site offers helpful information to remove some of the fear and uncertainty from the legal process, including basic information on Texas personal injury laws. 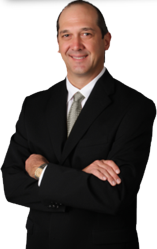 Website visitors learn how experienced injury attorney Shane R. Kadlec can assist them with their legal issues. The firm has developed a reputation for maintaining high ethical standards while aggressively representing clients throughout Texas in personal injury legal matters. Attorney Shane R. Kadlec is committed to advancing his clients' physical recovery while pursuing their civil claim recovery. He makes referrals to medical professionals who agree to defer billing of uninsured patients for medical care until Shane R. Kadlec has obtained payment through a settlement or verdict. Attorney Shane R. Kadlec has more than 15 years of experience in settling and litigating personal injury and civil cases. For more information about the firm, please visit the firm’s website or call 281.643.2000.